Delightful and Lively Taste, from Our House to Yours - A medium roast with a classic coffee flavor, this House Blend recalls the coffee enjoyed back in the day. When you or your guests want just a plain, simple cup of coffee, it's a good choice that's neither too strong nor too weak but always just right. 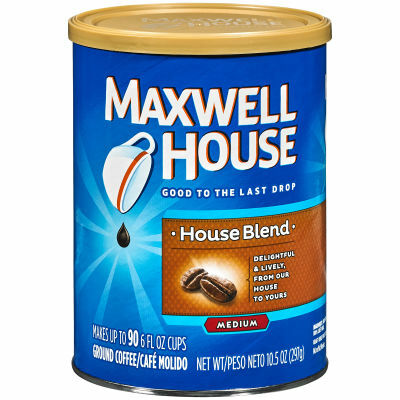 Great with Milk and Sugar or Enjoy It Black - This is 100% pure coffee and like all Maxwell House blends, it's always good to the last drop. Enjoy it with milk, sugar or savor its flavor all on its own.